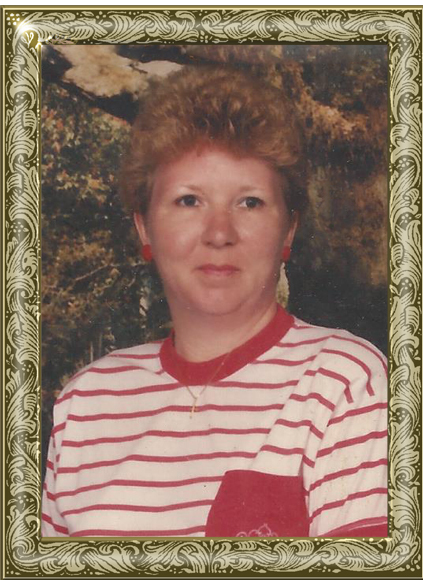 Ms. Peggy Teague Weaver, 65, of Rink Dam Road, Taylorsville, went home to be with Jesus on Tuesday, February 12, 2019 at Catawba Valley Medical Center. Ms. Weaver was born July 11, 1953 in Catawba County, the daughter of the late James Washington Teague and Marjorie “Margie” Moretz Teague. Peggy had worked as a seamstress for Krolher Furniture, where she was employed for many years. She was of the Baptist faith and enjoyed the outdoors, and loved shopping especially yard selling. Including her parents, she was preceded in death by: a daughter, Sherry Lynn Weaver Deal; two sisters, Patty Baker, Brenda Powell; a brother, Garry Teague. Those left to cherish and honor her memory include: a son, Shannon James Weaver and wife, Veronica Martinez, of Taylorsville; grandchildren, Shana Weaver and Alyssa Patinaude; five great-grandchildren; a sister, Joyce Williams and husband, Harold, of Taylorsville; a brother, Marshall Teague of Taylorsville; a sister-in-law, Patsy Teague of Taylorsville; father of her children, James Henry Weaver, Jr.; four aunts; a number of nieces, nephews and cousins. The funeral service will be held at 2 p.m., Saturday, February 16, 2019 at Smyrna Baptist Church. Rev. Michael Barber will officiate. Burial will follow in the church cemetery. The family will receive friends from 1-1:45 p.m. prior to the service. Pallbearers include: Stacy Powell, Robert Powell, Gavin Owens, Rayford Deal, Lance Lunsford and Larry Fulbright. Adams Funeral Home and cremation services is honored to be serving the Weaver Family.